Due to increased competition in search engine ranking, high metrics expired domains are in huge demand. You can often find people posting on social media like how to find high authority expired domains free. A couple of days ago, I was also searching for a high PA DA expired domain and was able to get many quality domains. This tutorial is for all those who are looking to find high PA DA expired domain free. At the end of this topic, I will assure that you’re going to find some high quality expired domains with great metrics. But before starting with this how to find high authority expired domains free, let’s talk about where you can use this high authority expired domains. We will talk each of these points in detail in the coming section. Why find high authority expired domains? If you’re wondering why bloggers and internet marketers are so mad about this high authority expired domains, then keep on reading. I’ll discuss several advantages and uses of this high authority expired domains. It’s no longer secret that higher metrics domains perform better in search engine compared to new domains. When we say high metrics, that means high DA, PA, TF, etc. You can increase the domain authority of website but that takes time. So, if you want to get those high figures quickly, you can hunt for high authority expired domain. Whenever I start a new authority blog or website, I try not to go ahead with the brand-new domain. It takes a lot of hard work to make it rankable in search engines. 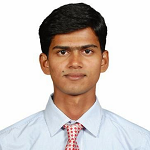 Better find high authority expired domains and avoid the initial search engine submission and link building. You can directly start with your real work and get your target achieved quickly. Another great thing about the expired domains are, it will cost you the same amount of the new domain cost. Usually, I go to PA, DA above 10 whenever I look for a new authority blogs and you can also do the same. Don’t worry I will explain how to find high authority expired domains free step by step here. If you’re into Blogging/SEO, you must have heard this term! If not, then PBN stands for private blog network and is a set of different high metrics websites used to take links for the money website. Here money website means your main website. Although ranking with PBN is not legal as per the Google T&C but still, it works like a charm and helps you rank faster. If you will buy the PBN links from the companies, it may cost you some good amount of investment which is not possible unless you have a sound budget. I was just looking at few PBN links providers and see their plans. None of the good PBN services provides links lower than $100 which is not less for the newbies. So, it’s a good option to find high authority expired domains free and then build your own PBN. But note that PBN is not legal as per Google terms. If you’re looking for the quick money, selling the found high authority expired domains can be a better option. Just find the high authority expired domains free using the methods I will explain below and sell those at some good profit. As I remember I have bought the expired domains from the sellers at $50-$60 also and so is a good profit. You can use Facebook groups/pages to sell those expired domains easily. Just see the below screenshot to see how people are mad about the good expired domains. Such domains easily get around $50-$100 depending on the link profile, niche, and negotiations. You can also choose Flippa or Godaddy auctions to sell such high authority domains and earn money. This is just a simple method. Register the expired domain with high PA DA you found and do a 301 redirect to your money site. The first domain in this screenshot has over 20 Million traffic as per SimilarWeb. If you’ll buy and do 301 redirects of such domains then you can expect some traffic also redirecting. But don’t do 301 much as this may lead to search engine penalization. 1-2 domains redirect is fine but such links can be harmful. There can be many such uses of such high authority expired domains and you should use it very carefully for maximum benefits. Now as you know where to use high authority expired domains, it’s time to look for the exact methods to find high authority expired domains free. One thing you have noted that I am using consistently the word “Free”. 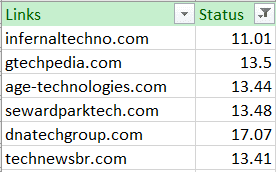 If you will look into the majority of the articles on finding high PA DA expired domains on the web, those explain the use of the tool DomCop. And DomCop is a paid tool for finding the expired domain. You can search for expiring domain for free but the expired domain section if paid one. And the pricing starts at a minimum of $74 per month which is not less at all. And this is the reason I decided to reveal the exact method I use to find the high authority expired domains here. I will explain each method in detail so that you will be able to find high authority expired domains FREE. When I say free, it means completely free. 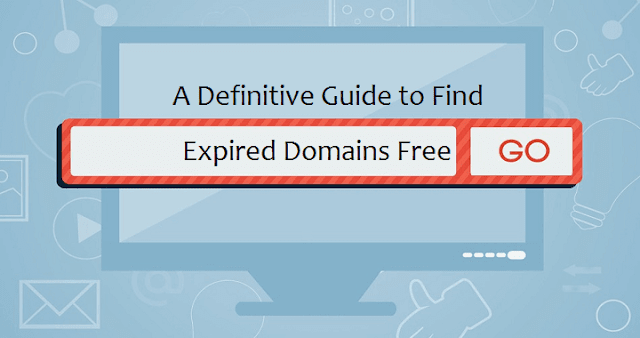 Let’s start with the main work- how to find high authority expired domains free! Step 1: visit Expired domains website. Expired Domain Names: Thousands of domains are getting expired on daily basis. But remember there is a grace period for these domains to be available for the public. And so, if you are looking to register such domains, chances are you may have to pay more. Dropped domains: All the expired domains which have not been renewed in the grace period also, are finally deleted and are available for the public to register. These domains cost the same amount a fresh domain cost. We will mainly focus on these domains. Visit the site and on the home page, you’ll find different sections like below. For this article, we are going to hunt for high authority .com expired domains. Click on the “deleted .com domains” link and all the deleted .com domains will be available to you. As you can see, there are 22 Million such domains and we can’t check each domain for the best fit and so we will do some filtration. Step 3: Make sure you are registered on the website to get the filtration criteria. Here we will apply some filter as per our requirements. I will be looking for the tech related domains which have at least 50 backlinks and has been deleted in the last 7 days for the better result. You can check the filter I have applied below. Also, select only available domains so that registered will not come in result set. Step 4: After all these 7 filters I applied, I ended up with 96 quality domains among which I can find the best fit high authority expired domain. Step 5: Now we have the list and from this list, we need to find the high authority expired domains. Here we will select the domains which have DA greater than 10. For this, export this list in a text file from the icon shown at the top and it will export all the domain names in a text file. Here you can check the domain authority of 20 domains at a time. Just paste the first 20 domains in the box and it will fetch the DA of those domains. Click on submit and you are done. It may take few moments to show the result. Export those result in the CSV file and apply the filter. I did the same and selected all the domains which have domain authority greater than 10 and see the result below. So, out of 20 domains we checked, 6 domains have domain authority greater than 10 and you can consider these domains. Please note all these have backlinks greater than 50 as we selected while filtration. You can further use any domain metrics checker tool to do further analysis of the domain. Step 7: Once you will finalize the name, go with any cheap domain name registrar and register that domain. In most of the cases, these domain names will be available at the normal price. By this way, you can find high authority expired domains free easily. This was all about how to find high authority expired domains free. I hope you are able to hunt a quality expired domain now. Also, we talked where you can use these domains for the best result. Starting an authority site or selling it for some quick money can be an ideal use of such authority domains and should be used for high benefits. Apply these steps and share your feedback. Also, let us know if you need any other help while hunting for expired domains.